You can use the foreach statement to iterate through all elements in a multidimensional array. The elements are iterated in a row-major order. That is, all elements in the first row are enumerated, followed by the second row, etc. Like other reference types, you can use an array as an output parameter, using the out keyword. The out keyword indicates that you must assign a value to the array before returning from the method. Also, within the method, you cannot reference the array parameter before you assign a new value to it. You must also use the out keyword when calling the method. An anonymous type is a temporary data type that is inferred based on the data that you include in an object initializer. 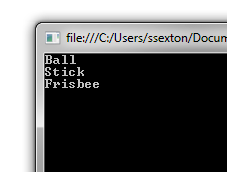 In addition to creating a single anonymously-typed object with an object initializer, you can also create an array of objects. With this declaration, you end up with an array of anonymously-typed objects, each of which has the properties Title, Year, and Direction. Note that this implicitly-typed array must contain elements of the same type, so each element must have the exact same set of properties. 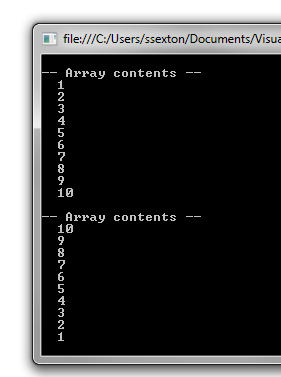 You can use the static Array.Reverse method to reverse the order of elements in an array. 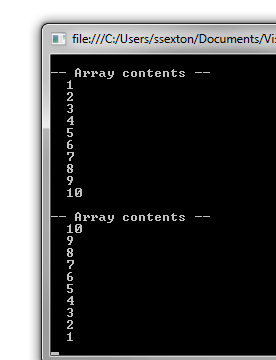 This modifies the contents of the array that you pass to Array.Reverse. 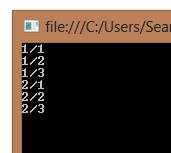 Note that this Reverse method is different from the IEnumerable<int>.Reverse method, which does not modify the contents of the array, but just returns a reversed sequence. You can return an array from a method just like you can return any other reference-typed object from a method. The array will be instantiated within the method and a reference to the new object is what is returned to the calling code. 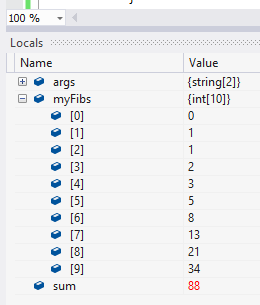 Array covariance in C# allows you to assign an array of instances of a derived class to a variable whose type is an array of instances of the base class. Covariance says that the ordering of two elements in a set is preserved after transforming each by the same function. With array covariance, we can think of the “ordering” as being the fact that the subtype is narrower than the base class, which means that the assignment is allowed due to assignment compatibility. The covariant function being applied to each type is to create an array of that type. This “function”, an array of a type, is then covariant because if type T is narrower than type U, then T is also narrower than U, preserving assignment compatibility.